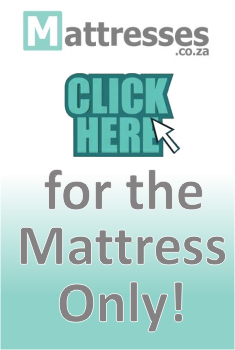 Please browse our wide range of beds online. We are sure to have the bed just for you! Should you require assistance please do not hesitate to contact us. We will do our darndest to ensure that you end up with the correct bed for your needs and at the best possible price. Cloud Nine manufacture a range of premium multi-layered foam beds including the i-SLEEP range - introducing memory foam mattresses, combining viscous-elastic and poly-urethane layers for ultimate comfort and support. Their range has SABS certification and carries the endorsement of CASA. Everybody knows Edblo. Manufacturing quality beds for over 80 years, Edblo now features the world-renowned bonnell spring support system. Edblo offers a wide range of comfortable No Turn mattresses, as well as quality duo pocket spring models, that are built to last. Orthopaedic mattress by Ortho-Comfort provide exceptional quality and value for money that the whole family can enjoy! If its the best value you want but without spending excessively, then Ortho-Comfort is your best choice. Rest Assured has incorporated the natural feel of a coir fibre and cotton wadding pad as natural insulation, as well as aloe ferox in the side panels of their spring beds. Superb quality, with lasting support, from entry level bonnel to top of the range pocket spring beds. Rest Assured has SABS certification.